Driving is a privilege that comes with tremendous responsibility. Each and every time a driver gets behind the wheel of their vehicle, they're expected to drive carefully and courteously to avoid causing devastating accidents. Unfortunately, not all motorists live up to these expectations of driving safely and, when they don't, they put innocent lives at risk. What is Considered Reckless Driving in Delaware? Reckless driving, which is defined by Delaware state law as “driving any vehicle in willful or wanton disregard for the safety of persons or property,” is one of the most common causes of car accidents—accounting for approximately 33 percent of all accident-related fatalities. As such, it carries penalties much harsher than the average traffic infraction. In Delaware, reckless drivers face stiff fines and the possibility of imprisonment. They can also be named as defendants in personal injury or wrongful death lawsuits in civil court. When people make the choice to drive recklessly, they needlessly increase the accident risk of everyone on the road and should be held accountable for any consequences that arise as a result of their poor decisions. Learning more about reckless driving can help accident victims decide how best to proceed. 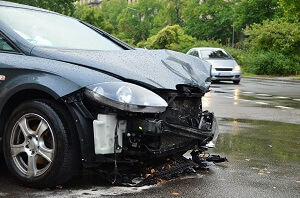 Immediately after a reckless driving accident, victims can strengthen their insurance claim or lawsuit by taking photos of the accident scene, as well as any injuries or property damage. It also helps to ask law enforcement for a copy of the police report and to have any and all injuries promptly documented by a medical professional. While a financial award can't turn back the clock to before the accident—and subsequent injuries—occurred, it can give accident victims the stability they need to focus on their recovery, rather than their finances. Were You Injured by a Reckless Driver in Wilmington, DE? If you were injured in a Wilmington, Delaware car accident caused by a reckless driver, you may be able to seek a monetary award from the at-fault party. The experienced attorneys with the Morris James Personal Injury Group can help. Contact us today to arrange an appointment to discuss your case—we provide no-cost, no-obligation initial consultations.